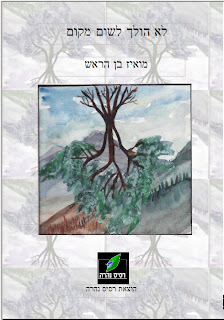 Sometime in 2008 my friend Pavel from Ashan Hazman (Note, link in Hebrew, it's a really cool bookshop + Pub + Bar + Rock concert place in Beer Sheva), told me that the poet Mois Benarroch was trying for years to publish a poetry book, but no publisher wanted to take it. I said I'd be glad to do it. I like the guy's poetry, and I thought that it was turned down by other publishers for spurious reasons. Like anything else in publishing, it took a longer time than we thought, and it ended up costing more money (though compared to the two books I published just before that, it was relatively cheap). We never sold too many copies, but never mind, the guy deserved to be published.